Is it strange that I get excited about new beauty products? 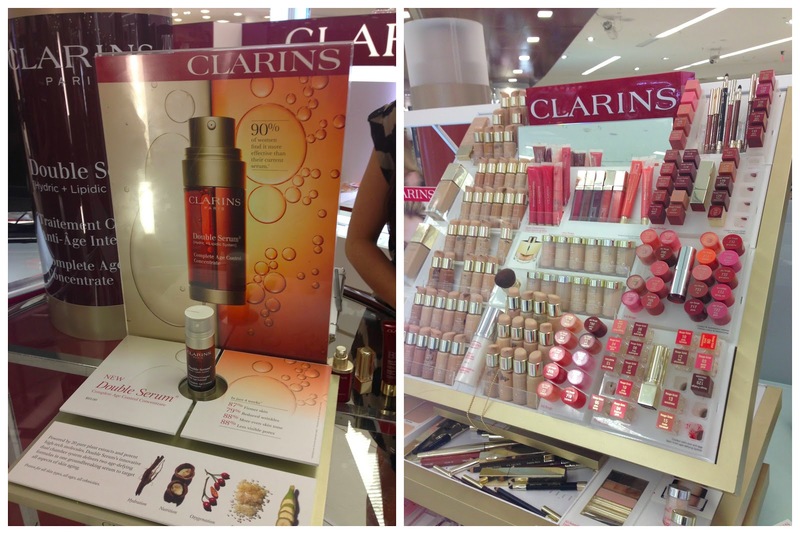 It's not every day that you learn about a revolutionary product but last night, at a special event held at Macy's at Dadeland Mall, we were introduced to Clarins Double Serum. With 27 years of plant science experience, Clarins jam-packed this serum features 20 pure plant extracts and high-tech molecules. It's the only anti-aging treatment that reactivates the 5 vital functions on which skin's youth and beauty depend. What surprised me the most to learn last night is that the way you apply products is just as important as what is in them. You could be acting counter productively by pulling or tugging at skin. I'm going to be trying it out today and will let you guys know how it worked for me! 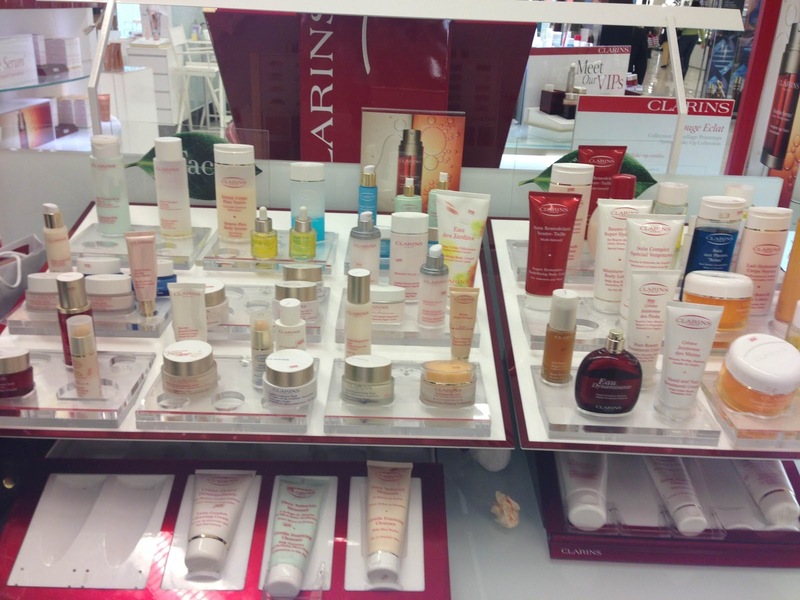 Below I have images of some of the high-quality products available right now at your local Clarins counter as well as a video of Bernnedette Bran, Regional Educational Manager for the brand, who will tell you a bit more about their new Double Serum ($85 for 8-week supply) as well as the correct way to apply it. 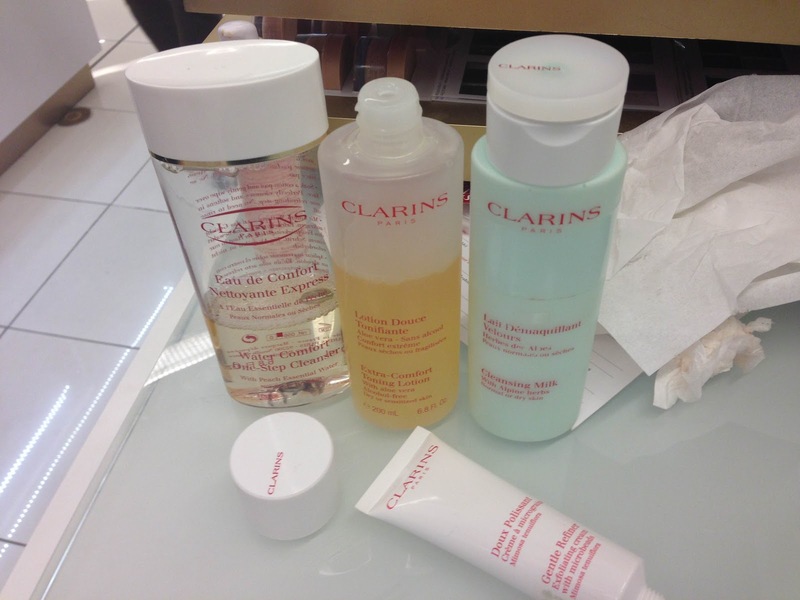 Clarins Products Used to Clean My Face, I was glowing! I wanted to take this entire counter home!